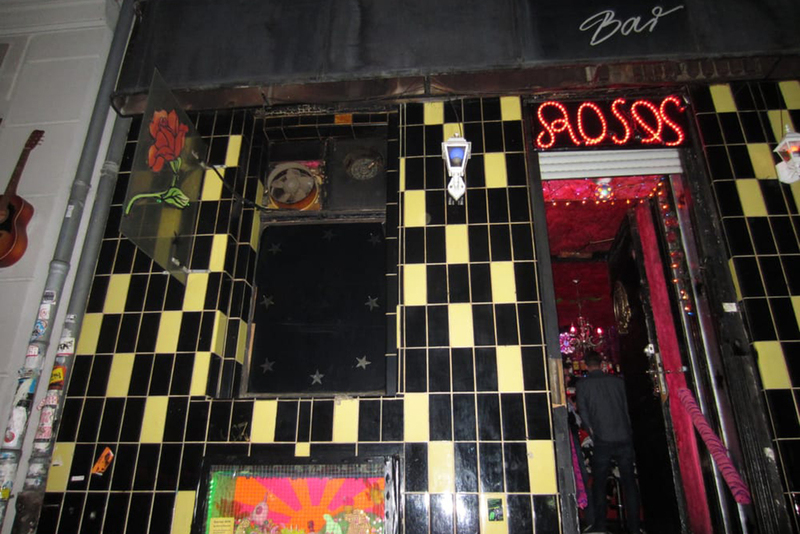 You can go months in Berlin without setting foot in a club and still enjoy world-class nightlife. 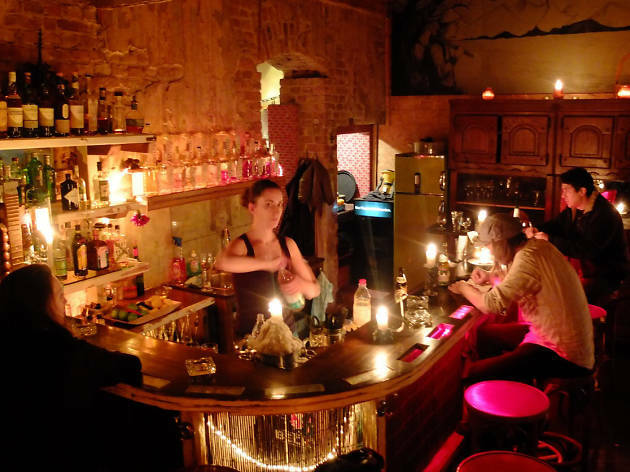 Berlin’s cocktail scene rivals that of any major European city, and the true dive bars don’t just put up a gritty facade to mask their bland acceptance of the status quo (though there’s plenty of that, too—note that tattered furniture doesn’t equal cheap drinks). 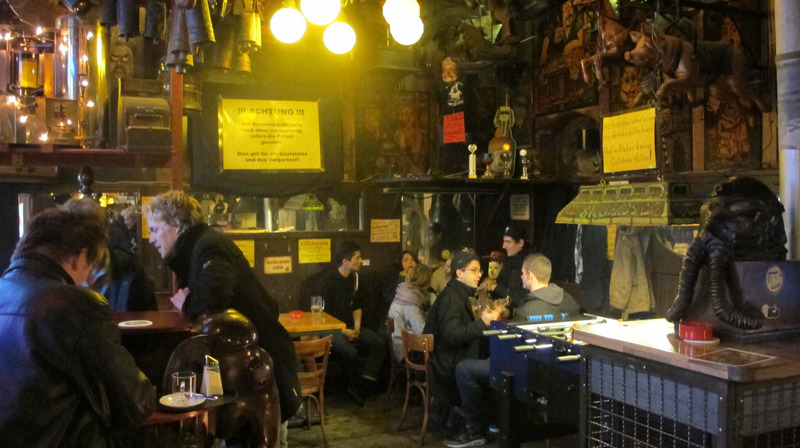 There’s still a strong culture of neighbourhood watering holes, where you can chat with the locals over a Berliner Pilsner and some Pfeffi (peppermint schnapps). 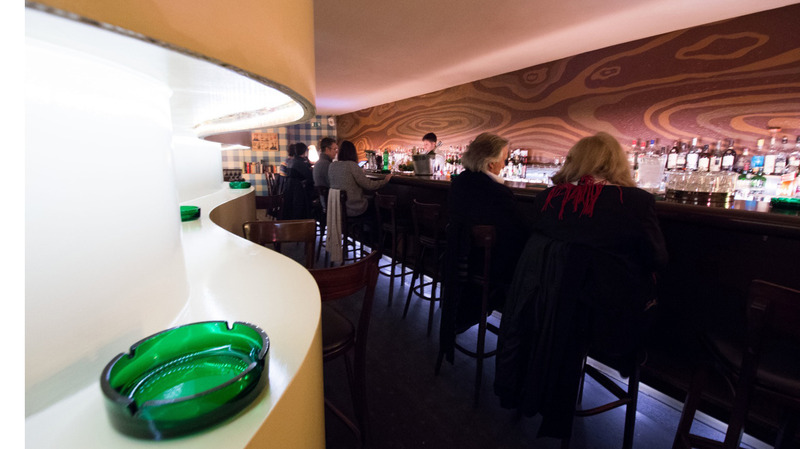 The best bars in Berlin stay open well into the morning hours, and many are quite smoky—best counteracted the next day with a brisk walk along the Spree or in the Grunewald or with a lavish meal at a top-notch local restaurant. The locals love a drink but due to most bars being located in residential blocks, drinkers tend to get more and more hushed as the night progresses, displays of drunken behaviour are extremely rare. As with most places in Berlin, don't expect to be able to pay with credit cards anywhere so be sure to carry sufficient cash. 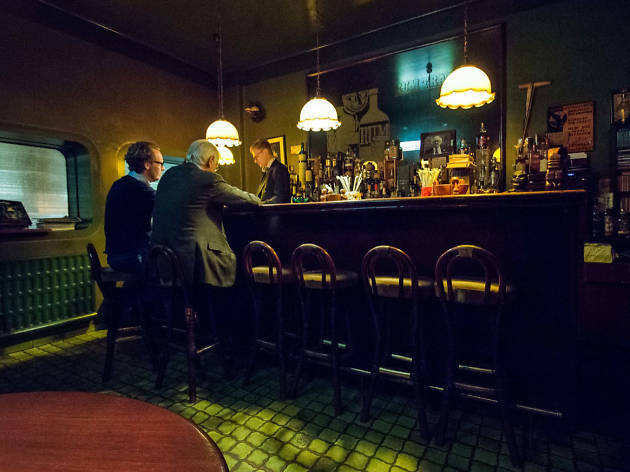 And for those used to a last orders call, do remember to go home: Berlin's bars really do close when the last customer leaves! 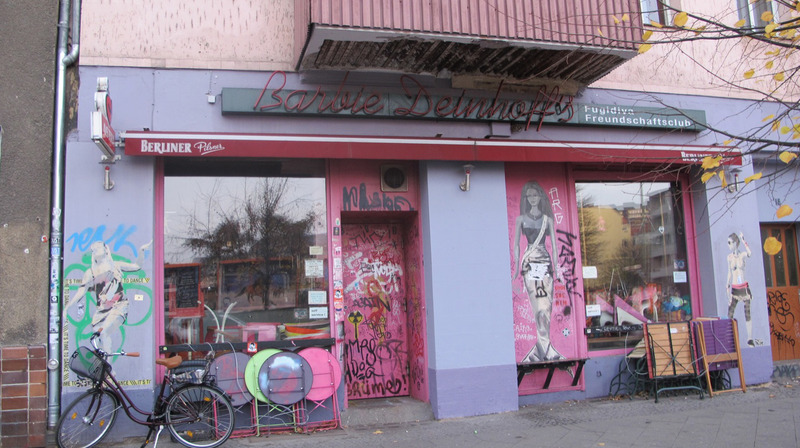 Barbie Deinhoff’s in Kreuzberg is a bar, alternative art gallery and indie rock venue that embodies the best of Berlin living. Sure, this is a queer performance space, but most people come to its bright, casual rooms for the young, mixed crowd, the top-notch local DJs and the hilarious art adorning the walls. 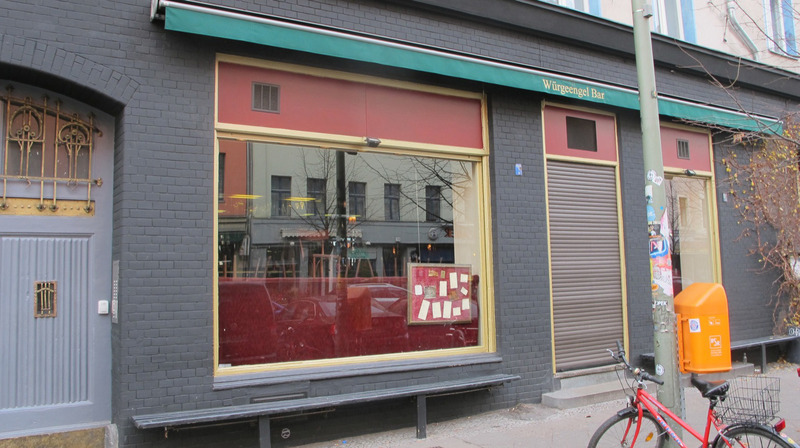 Two-for-one Tuesdays are popular, attracting a particularly skint Kreuzberg crowd. 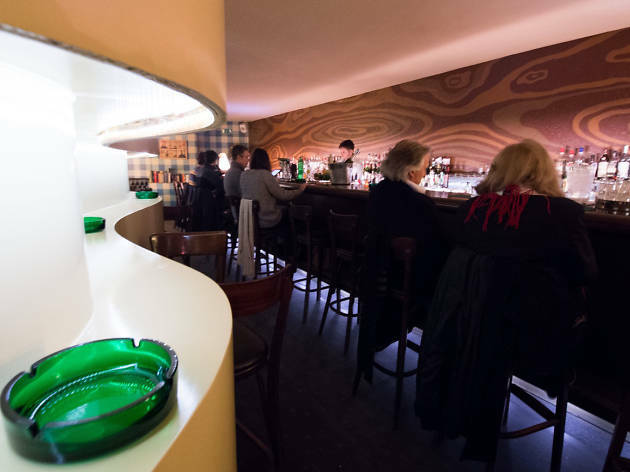 Behind an actual green door (ring the bell for entry) lies this popular cocktail bar, which attracts a solid crowd of upmarket regulars as well as booze tourists on the Berlin quality cocktail trail. Inside it’s quietly classy with a touch of kitsch. 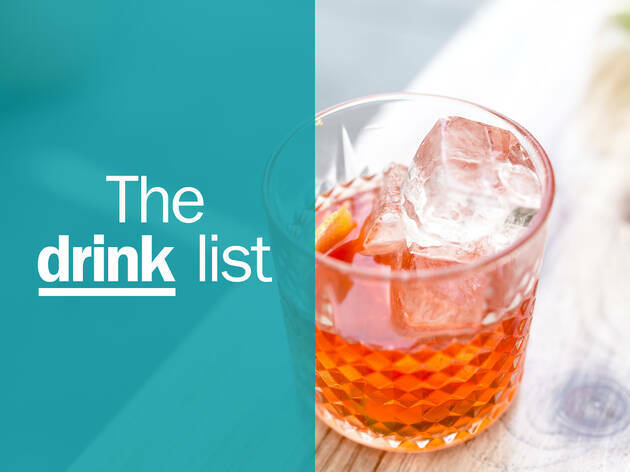 The impressive drinks menu runs the gamut of spirit-based mixology and includes the house Green Door cocktail, a refreshing mix of champagne, lemon, sugar and mint. 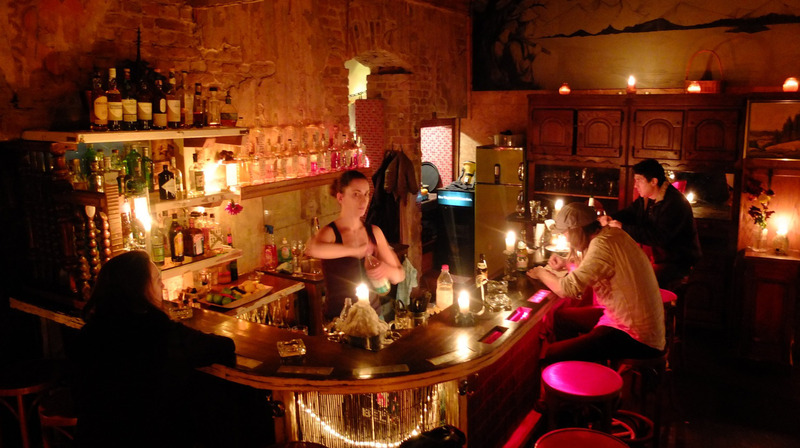 This long-running cocktail bar is an oasis of fine drink in rather sparsely served Prenzlauer Berg. It follows the classic speakeasy model: enter via an unmarked door and find yourself in rooms draped in red velvet. 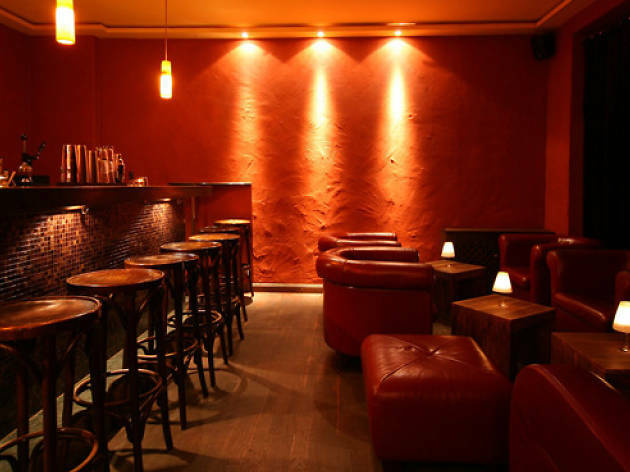 Settle back on the chesterfield sofas and enjoy the fresh air of the no-smoking room—a relative rarity in Berlin’s bar scene. Try the Aviation, a paean to the classier days of air travel: a florid mix of gin, violet, maraschino and lemon. A grizzled portrait of playwright Samuel Beckett (not averse to a drink himself) keeps watch over proceedings. 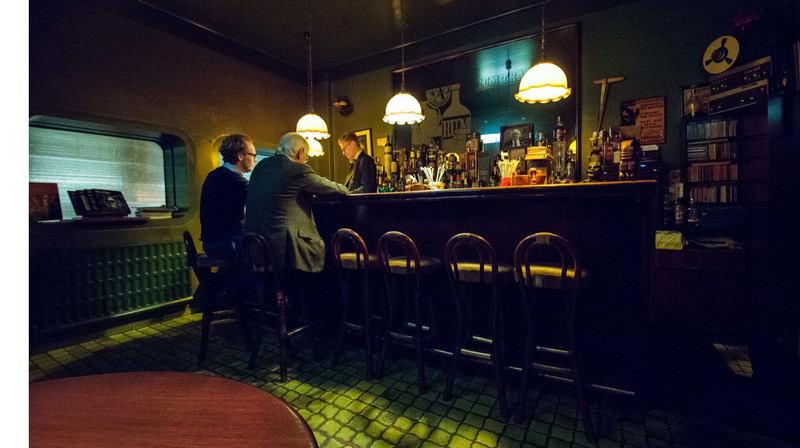 The space here is built up with wooden platforms, and there’s great attention to detail in the decor, including Victorian curios laid into the bar and an esoteric toilet. 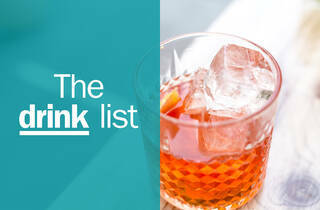 The speciality is infused alcohols, shots of which are poured out of a giant bottle at the bar or mixed into house cocktails, such as the Geist Russian, a rich blend of vodka infused with vanilla, cinnamon, Kahlúa and cream. The weekend brunch features huevos rancheros, chicken with waffles and fabulous Bloody Marys, but you’ll need to get there early. 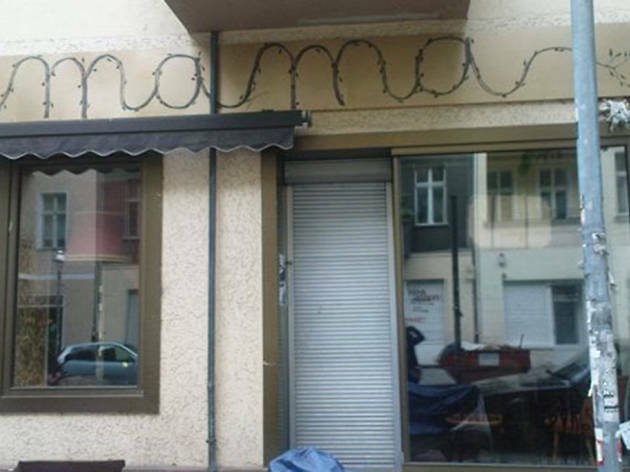 Nearer to a grandmother in Neukölln years, Mama was one of the area’s first bars to nail down the look with its GDR living room furniture, intricate murals and sound Türkischer Markt system veering towards Balkan beats. The unpasteurised Svijany beer on tap is excellent. 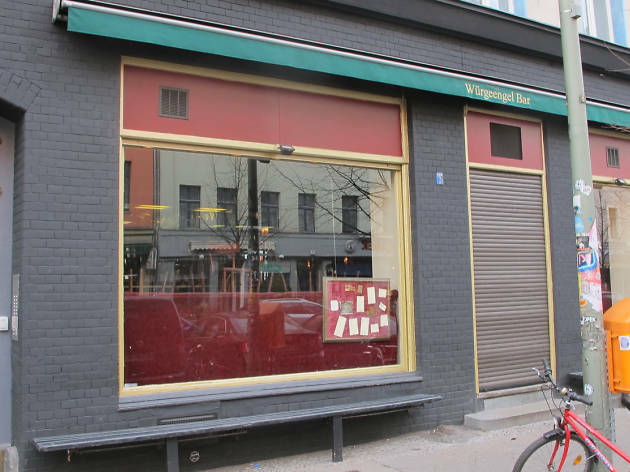 It’s a bit of a mouthful, but this sultry boozer is named after Luis Buñuel’s absurdist movie masterpiece The Exterminating Angel, in which a group of bourgeois worthies find themselves inexplicably unable to leave a lavish dinner party. The smartly dressed waiting staff, glass-latticed ceiling and leather booths certainly evoke an old-world sensibility, but it’s still accessibly priced. 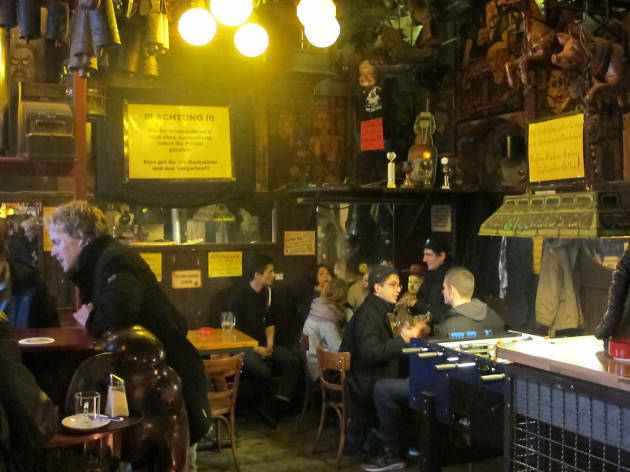 Subtitled the “Institute for Advanced Drinking,” this tiny bar is a Berlin classic, thanks to its eccentric owner, Gregor Scholl, who is ever present, smartly dressed in bow tie and waistcoat. 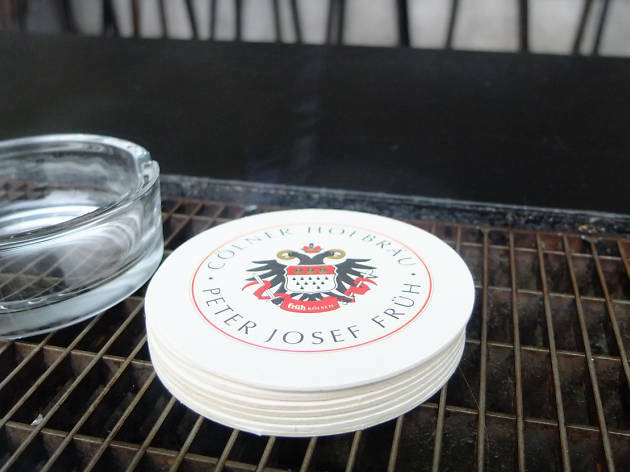 There is no menu: Scholl will ask which spirit you like and whether you want something “süss oder sauer” (sweet or sour). Don’t waste his time (or talent) by asking for a mojito. Hugely atmospheric and with room for only 15 guests, Rum Trader is best avoided if you’re on a budget. 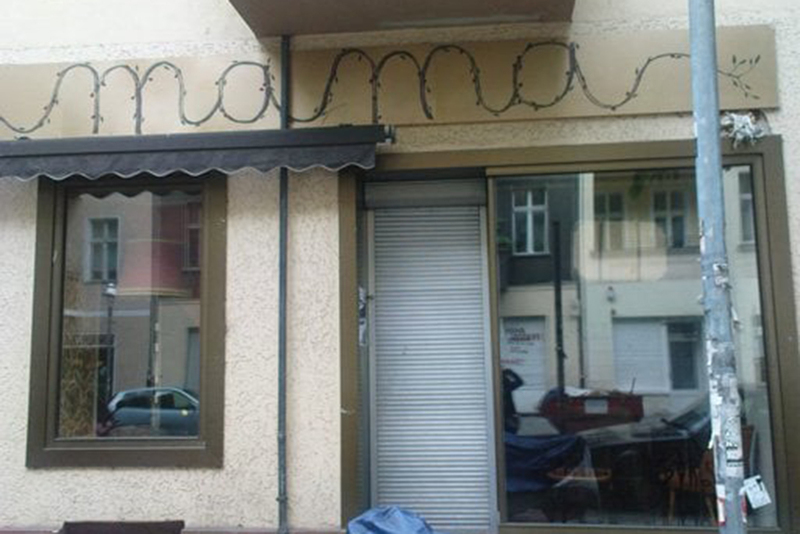 Located in a backstreet off Torstrasse, this cosy bar is a favourite of Mitte media types and art stars. 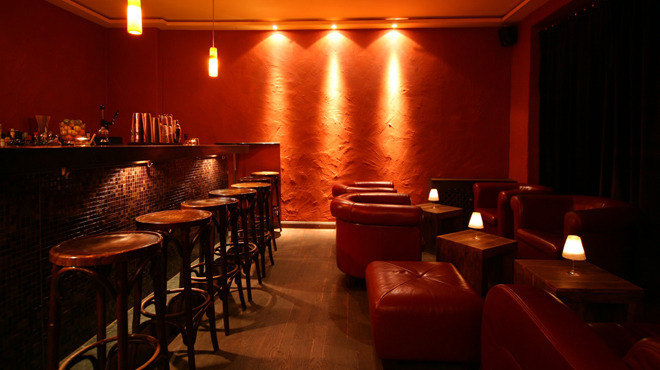 With a large horseshoe-shaped bar dominating the room, it’s bar stools or standing only, as this place seriously packs out with a slick, bespectacled clientele and the occasional actor or celebrity. The house wine is very good. 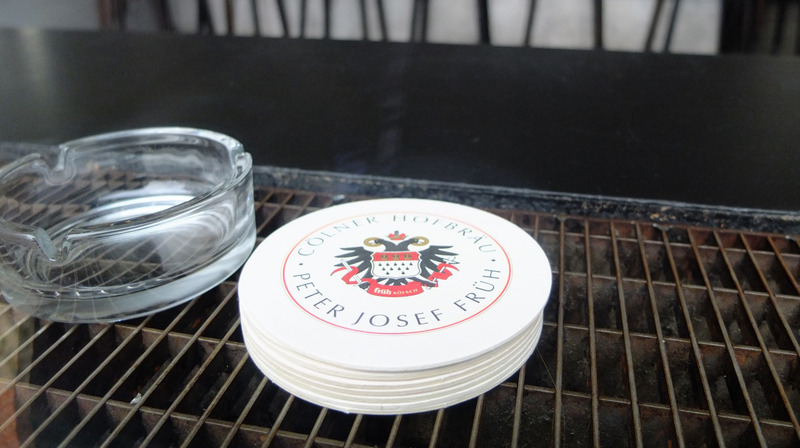 Or try the Kölsch beer from Cologne—tradition dictates that it’s served in a tiny glass, constantly refilled by the barman until you abandon it half-full or lay a beer mat over the top. Whatever state you’re in (the more of a state, the better), you’ll fit in just fine at this boisterous den of glitter and furry walls. 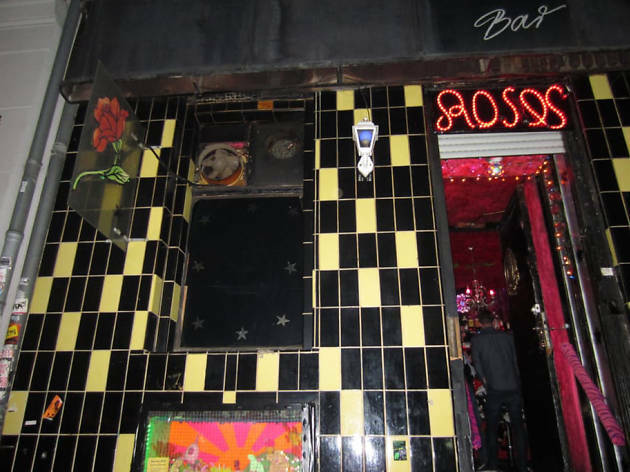 It draws customers of all sexual preferences, who mix and mingle and indulge in excessive drinking. 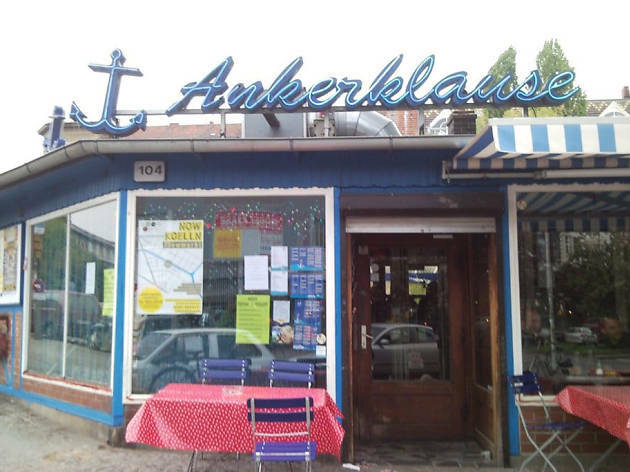 No place for the uptight, always full, and very Kreuzberg-ish. 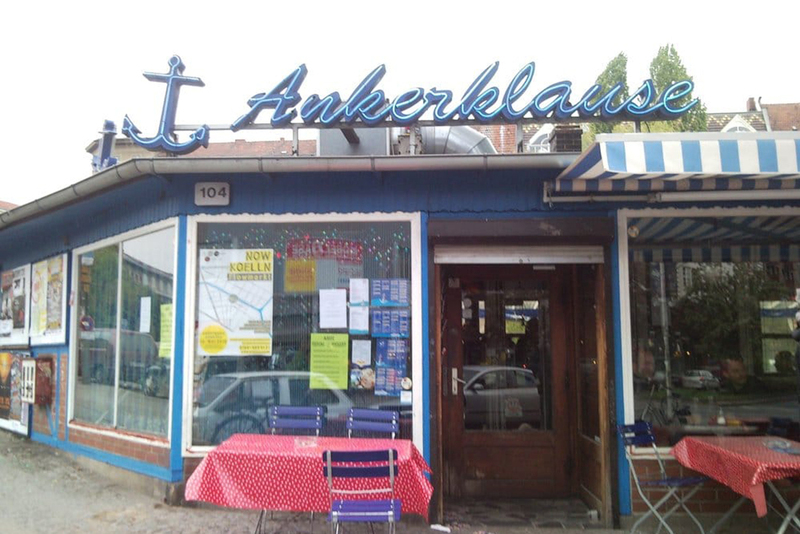 Café by day and bar by night, the nautically themed Ankerklause has firmly resisted the temptation to gentrify itself, despite its enviable location, with balcony seating hanging over the canal. 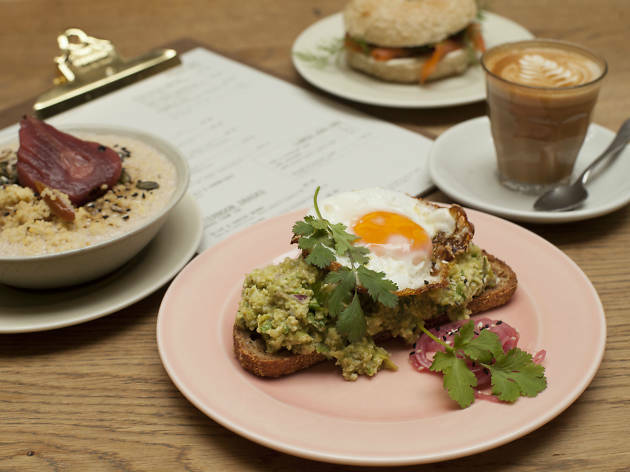 The coffee is average, and you might want to avoid drinking too much of the house wine, Chateau Migraine, but the breakfasts and cakes are hearty and delicious. Give market days a skip (Tuesdays and Fridays), when it’s inevitably rammed. Dig into a sweet treat, settle down to savour one of Germany's classic breakfast buffets or pop by a market for an on-the-go treat with a street food twist.